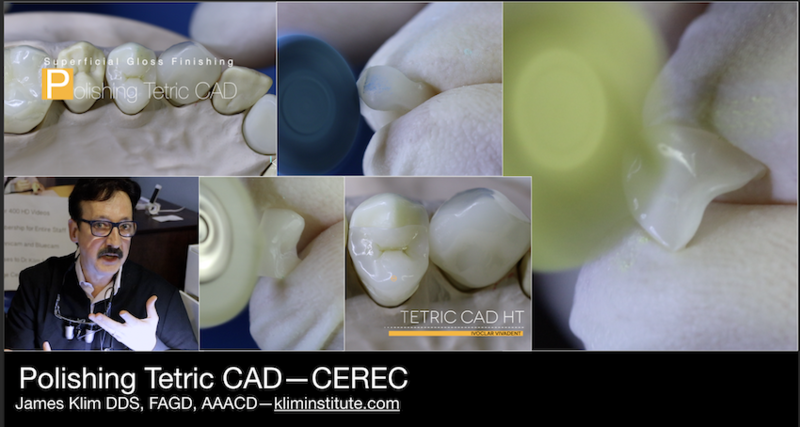 The CEREC community is experiencing an exponential addition of new CAD/CAM materials. The polymer material category is one of the growing ones: this video will review applications and a polishing technique for the polymer Tetric CAD. The finishing technique conveyed in this video will work for other polymers such as Lava Ultimate, Cerasmart, Enamic, and other like materials.